She quietly comes in carrying heavy things, cruising through races with a great big smile, cheering everyone on, and dancing when no one is looking (but I caught her once or twice)………..June’s Beast of the month is Renee Larsen! My First Obstacle course race was the Survivor Dash in June of 2016. What my goal was in 2016 was to take off the last 15lbs, so for Christmas I got a personal trainer. I had been doing Zumba classes, boot camp classes, and 21day fix for about a year and had lost 55 lbs., but couldn’t shift the last 15 lbs. With the trainers help I lost 12 lbs. in about 3 months. Along the line he did my body fat calculation and it came up in the athletic range, and he said you are an athlete. I had never thought of myself that way and armed with a new way of describing myself thought well I should try one of these Mudd runs and Triathlons that he talks about in class all the time, because that is what Athletes do. I had always hated running, but to do these I started running 3 miles once a week to get ready for the Survivor Dash. From first foot fall of running at the Survivor Dash I was in love, discovering that running to something fun on a trail made running fun. After that day I signed up for as many obstacle course races as I could find (Warrior Dash, Ward 57, Tough Mudder) in the 3-5 miles range, never expecting to be able to do a longer one. I signed up for Tough Mudder ½ and in June I did the Tough Mudder workout. I met a bunch of people at that event who’s training schedule seemed to be a lot like mine and they were doing the full mudder, they all said I should do the full one and I could join their team. My trainer then challenged me to think about doing the full one, so In September I did the Full Tough Mudder. I then did my first Triathlon and fell in love, purchasing a race bike two week after the event. At Tough Mudder I met a Beast OCR and he invited me to join the Beasts. I went to the Spartan workout that fall in Kent, having signed up for the Sprint, as I felt 15 miles would be too much for me, but after Mudder I switched to the Beast. That was a great experience, I met so many Beast OCR’s at the event and for the last 4 miles of the race stuck with a group of Beast Ladies who helped me with their amazing energy to finish the course. You’ve also completed several endurance events. What was your first one and how did you feel when you completed it? My first endurance event was Beast Breaker in 2016. I sort of signed up by accident, I totally misunderstood what was said about the event and thought it was a four-hour event. After gear check Adam said we are going for a 40-kilometer run/walk, I thought like most trainers he was exaggerating, but he meant it, at about midnight I realized that we weren’t going to be done anytime soon. We did do almost 40 kilometers that night, most of us were totally exhausted at the end, finishing around 5am. I was glad it was over and thought I was done with endurance events, but wait there was part of the event we did not finish that night and I always finish what I start so I came back to complete the event with the others on another early morning and really loved it, signing up for almost all of the endurance events in 2016 including Machette Madness. Armed with the knowledge that I could do a 10-hour overnight event I pushed myself and signed up for and completed Whistler Toughest Mudder in June of 2017. My biggest challenge is my weight, I don’t think I will ever overcome this issue, I am strong and lean now, but without having these fun events to train for I would soon be that overweight person again. The Obstacle Course Races are fantastic, and I love them, but the variety, randomness, and surprise of the Beast Endurance Events is unparalleled, and both keep me on track to stay on my exercise and food plan so that I can perform well. I love that the people who show up give their all and they don’t think I am crazy for liking to be outside doing extreme things at all hours of the day and night in all kinds of weather, and think it is as fun, like I do. It is not really a who, I am inspired by everyone who completes these difficult events. I like being out there with them, learning from them, and hearing their stories, being part of the clan inspires me to try harder. What is your favorite OCR and/or Endurance Event memory? There are a lot of great memories with my Beast Friends, meeting up with a group of 3 Beast girls, laughing, singing, and just having fun finishing the 2016 Spartan Beast. Building the Wall at the Beast Feral Event. Playing Hide and seek in the dark as we tried to get through the valley to the brickyard. Building a sand boat and flying the Beast Flag at Cannon Beach. All are extremely fond memories. I am a certified Zumba Instructor, and I love to do Yoga and Belly Dancing. My biggest goal for 2018 is to get my Holy Grail from Tough Mudder, ever since I heard they had a three-race serious in 2017 I have been thinking about trying for it. I am extremely excited to do this, I hear there is no medal, it is about the being able to say you did it. Don’t get me wrong I love my medals and cherish each one of my Spartan ones, but something about doing something to be able to say you did it like playing golf and knowing you played a fair round, never moving your ball, always playing by the rules, just so you know in your heart you did it, really appeals to me. I signed up for enough Spartan races to get two Spartan Trifecta’s this year. I hope to defend my 4th place in my age group for the Spartan Sprint in April and if I can eek out a little more speed maybe get 3rd place. I plan to do three Triathlons and as many Beast Endurance Events that will fit in my race schedule. 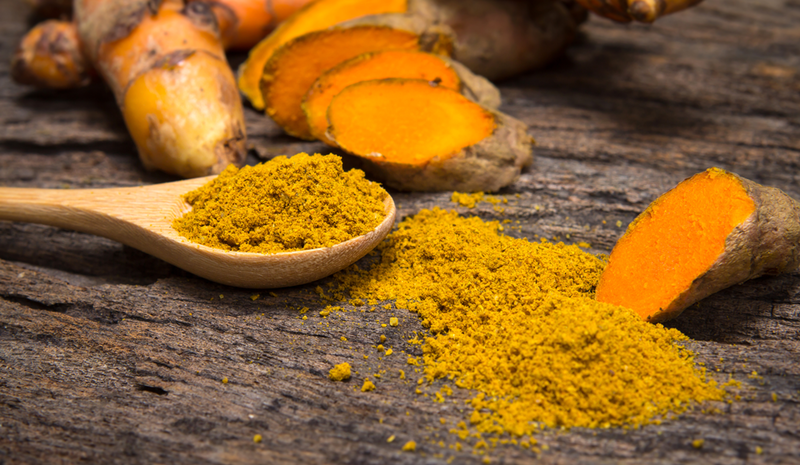 Turmeric is great in the kitchen, but it also has several reported medicinal benefits, including aiding with liver health, boosting cognitive ability, arthritis, and inflammation. I had a first hand experience with Turmeric/Curcumin that was pretty extraordinary. I had an overuse injury for over 2 years. I adjusted my workouts with no effect. I tried a concentrated dosage of curcumin and it went away in a couple of month. I’m definitely a fan. This is a quick, basic recipe that is great for inflammation and nice at the end of the day. Be sure and remember the pepper corns as they help the body absorb the turmeric. Combine all ingredients in a sauce pan and heat until very warm. Enjoy! During my last post I spoke about proper running mechanics. This post will continue that trend and talk about several easy tests that will determine how much joint mobility an athlete has. Ankle and hip mobility is just as important to runners as proper running form. A mobile ankle will properly absorb much of the impact with the ground, and a mobile hip will help maximize power transfer from the glute and hamstring, which is where most of your running force is generated. Tight hips can also limit your stride and prevent a portion of your backward kick. Having limited joint mobility will not only affect your pace but will also inevitably lead to injury. Poor ankle mobility can lead to plantar fasciitis and other lower leg problems. There are two easy tests to check for ankle mobility. These tests are all easily found online, and I’ll list my references at the end of the article. I’ll start with a few technical terms and the normal person equivalent terms. Dorsiflexion is the flexion of the foot anteriorly, AKA the ability to bring your toes up towards you shin bone. It is important for a runner’s foot to be in line with the hip when impacting the ground. To do this, you need to have good dorsiflexion in your foot, especially when running up hill. The test can be done two different ways but if you try both you will find out they both show the same flexion. The first way will allow both ankles to be tested at once. Start by sitting in a chair with bare feet flat on the ground and the knee at ninety degrees. Then slowly slide your bottom forward keeping your feet in the same place (i.e. slouch). If you have trouble getting your knee beyond your toes, then your ankle mobility is limited. A good mobile ankle should allow the knee to go anywhere from four to five inches past the toes before the heel comes off the floor. The other way to test is to lay down a measuring tape or ruler starting at the wall and coming towards where you are standing. Kneel, placing one knee and the opposite foot on the floor. The toes of the grounded foot should be at the four- or five-inch mark. Now push the knee forward. The knee should be able to contact the wall without the heel lifting off the ground. Repeat the test with the other leg as you can have different mobility in each ankle. There are also two easy tests for the hips. The hips have multiple muscles all over, but the main two for runners are the hip flexors and the hamstrings. I’m sure some people are thinking that the hamstrings are leg muscles and not hip muscles, but they actually attach at the hips (Ischium tuberosity to be exact). The hip flexor test is performed with a yard stick, door frame, or wall corner–something to lay the back against. Get down on one knee with your leg extended behind you. The opposite foot should be flat on the floor, and that knee should be at ninety degrees. There should be a small gap between the frame (or whatever you are using as a support) and the lower back (this is a natural curve of the spine). Now rotate your pelvis forward. If your mobility is good, the gap will disappear, and the entire spine will touch the door frame. With poor mobility, the gap will not disappear and there will be a tight stretching feeling in the hip and down the quad (front of the thigh). The final mobility test is for the hamstrings. This test is nice because it is performed laying on the ground and can be performed with another athlete. While laying face up bring one of the legs up with the knee bent and interlock the fingers behind the knee. The other leg should stay straight on the ground (a slight bend at the knee is natural). Next slowly straighten the knee of the vertical leg while still holding on. The leg that is still on the ground should stay straight and not start to bend or rise of the ground. This is an indication of good hamstring mobility. Limited hamstring mobility will cause one or multiple things to happen. The vertical leg will not be able to stretch much past forty-five degrees from the floor (in the first raised picture, this would fall in the portion of the box with the red “X”) or will be unable to straighten. If the vertical leg is able to straighten or go past forty-five degrees (anywhere with the green check mark in the box of the first picture), it must do so without the leg on the ground bending or raising off the ground (as seen in the second picture). As you can see, I need to work on my hamstring mobility a bit. While these tests are informative, they are by no means the end all and be all of mobility tests. These are however a good start to see just how mobile the joints in the legs are. The way to solve these issues are plentiful: stretching, yoga, massage, cross training, taping, or even cupping.